Edge Brewing – My visit to Edge Brewing felt like being at home in the U.S. 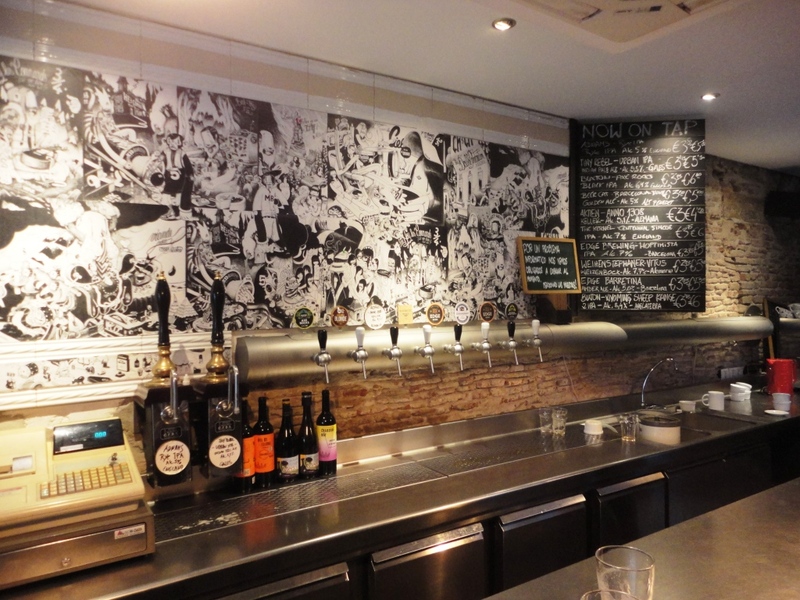 Edge was founded by two Americans to bring the American craft beer revolution to Barcelona. 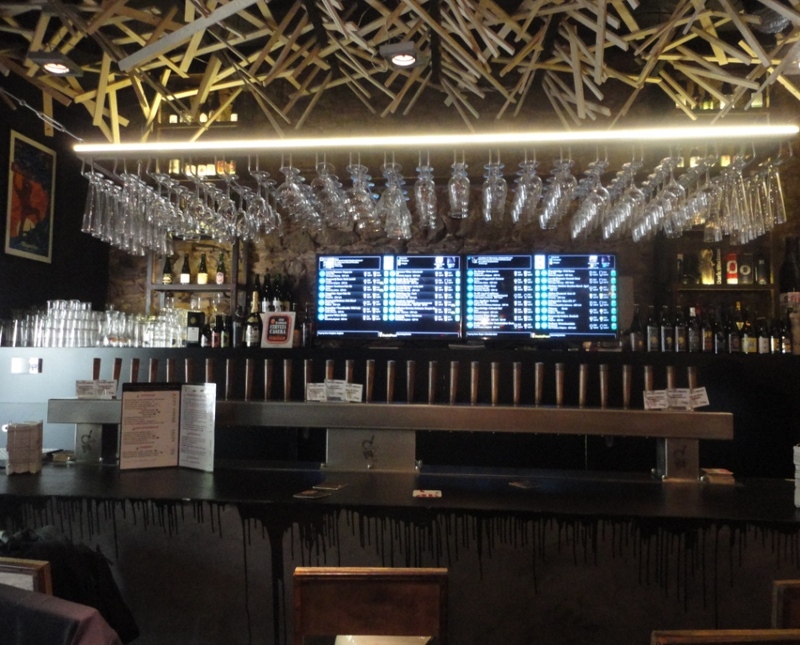 I found Edge brew at several local beer bars, but there’s nothing like drinking fresh beer at the brewery, and Edge was easily my favorite beer destination in Barcelona. I enjoyed it so much that it will be the subject if its own blog post. Stay tuned! The beer menu display was unlike any I’d ever seen, and if you couldn’t see the display from your seat, the up-to-date beer menu is available right on their website home page. 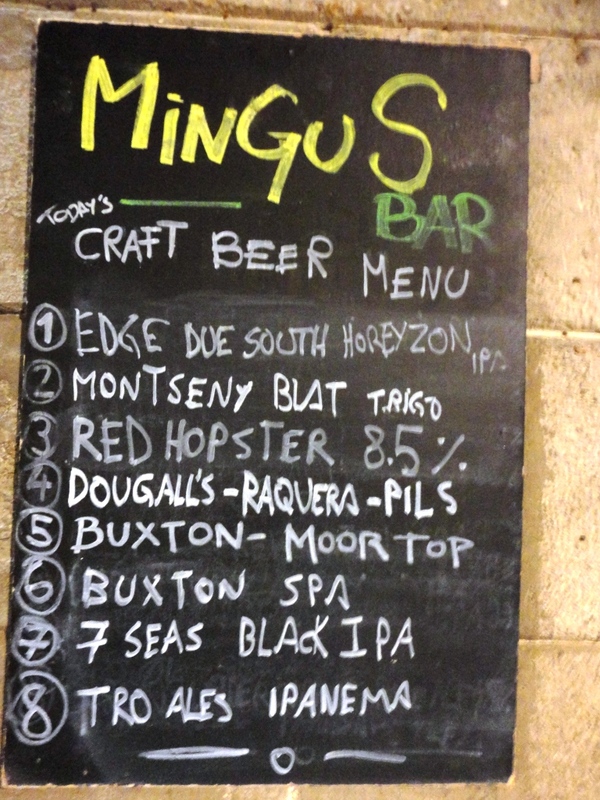 Ale and Hop – this off-the-beaten-path hole-in-the-wall was well worth the effort it took to find it. 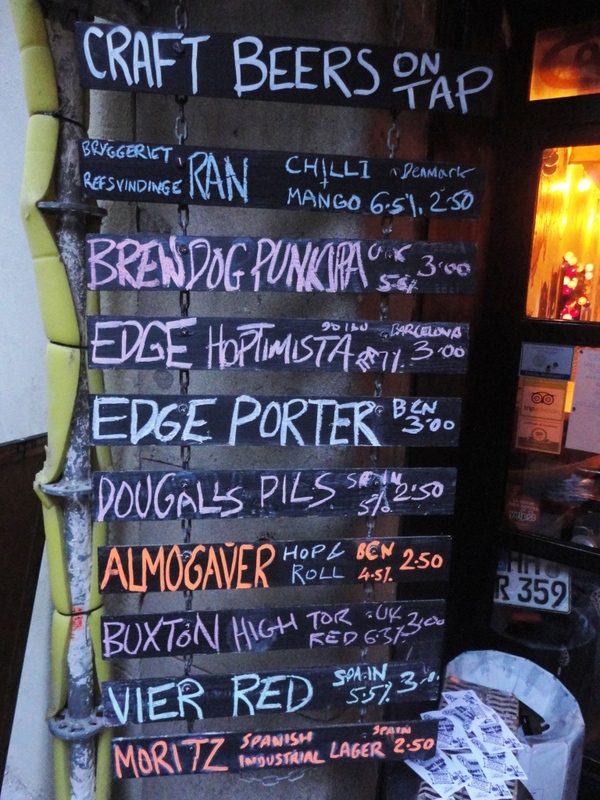 The neighborhood pub was filled with locals and offered a friendly vibe and local Barcelona brew from Edge Brewing. 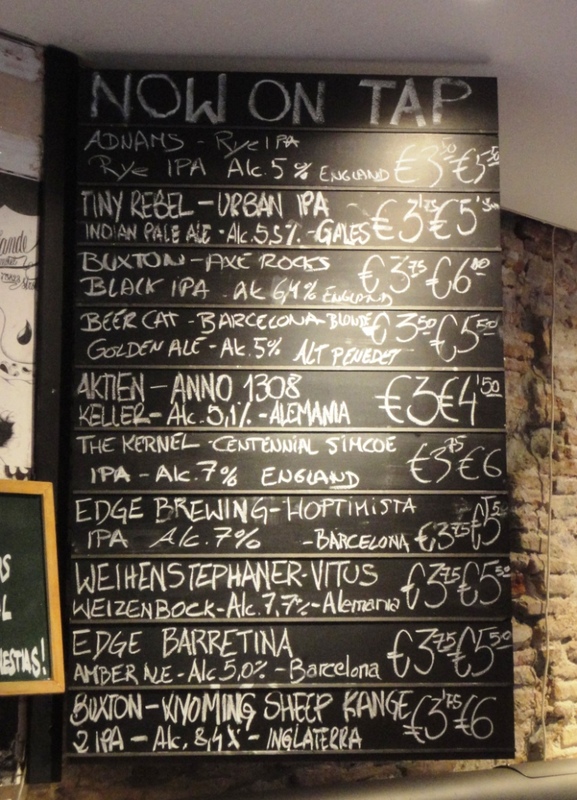 Cat Bar – I stumbled upon this cat-inspired vegetarian and vegan bar, drawn in by the beer menu displayed out front and the chance to drink more local Barcelona brew from Edge Brewing. 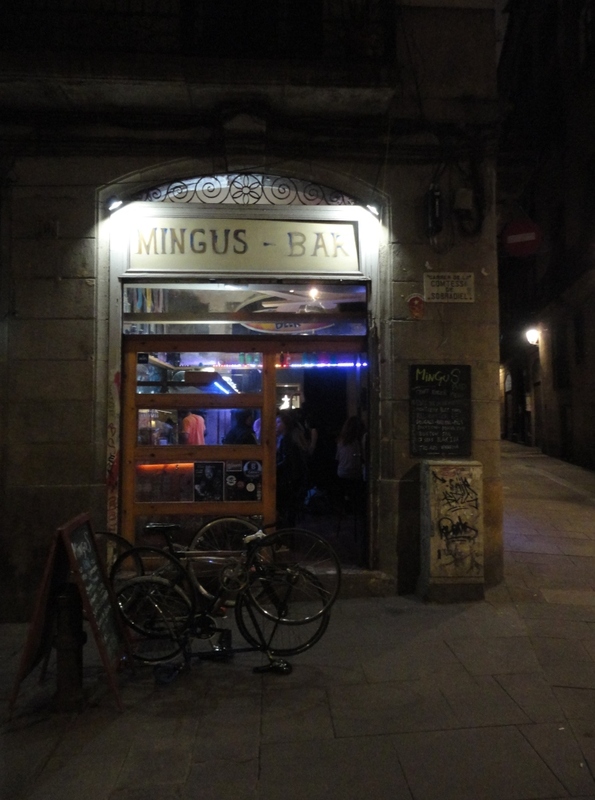 Bar Mingus – this local-filled hole-in-the-wall was hidden among the narrow streets in the historic Gothic Quarter. 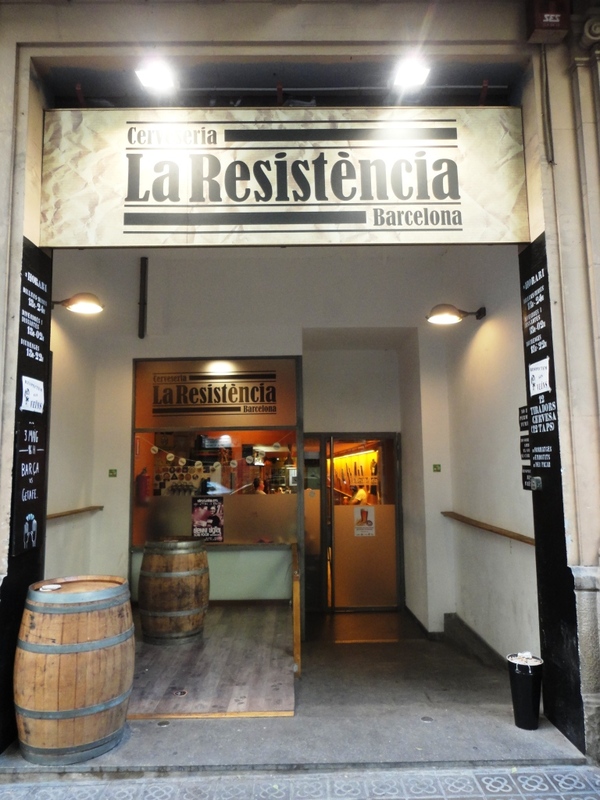 La Resistència – Yet another difficult-to-find hole-in-the-wall that was worth the extra effort. 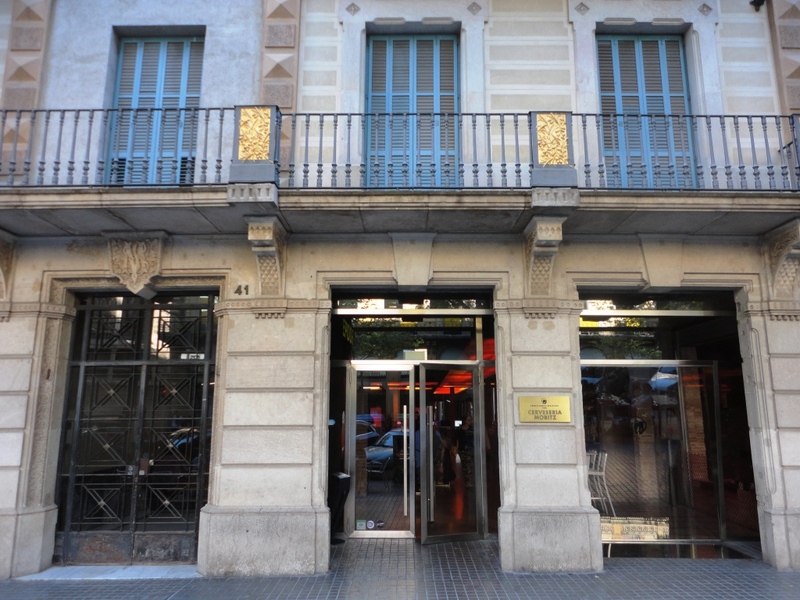 This was the only place in Barcelona where I experienced some difficulties with the local language, as the bartender and I had trouble communicating. But a friendly local stepped in to translate and to recommend one of the local beers on tap, which was one of my favorites of the trip. 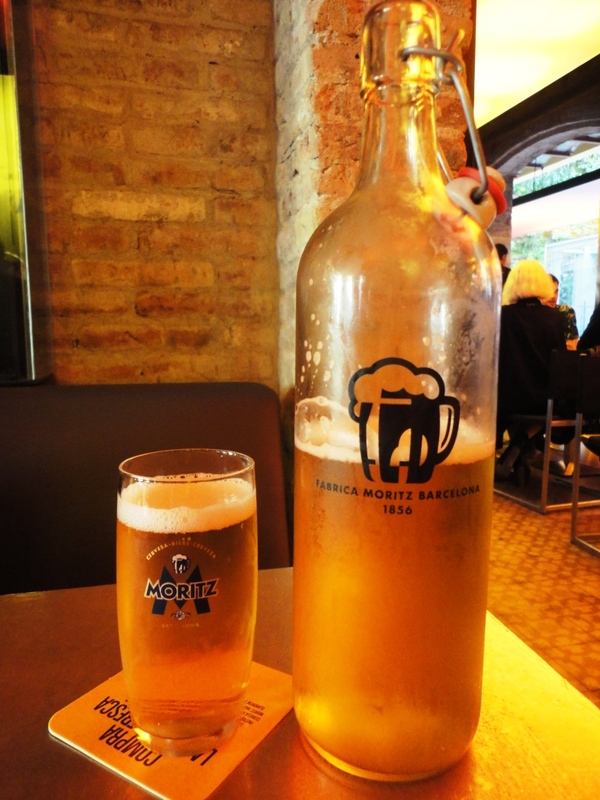 Fabrica Cerveza Moritz – Moritz was was easily the most polished of my beer destinations, and a bit touristy as compared to the other neighborhood beer bars. 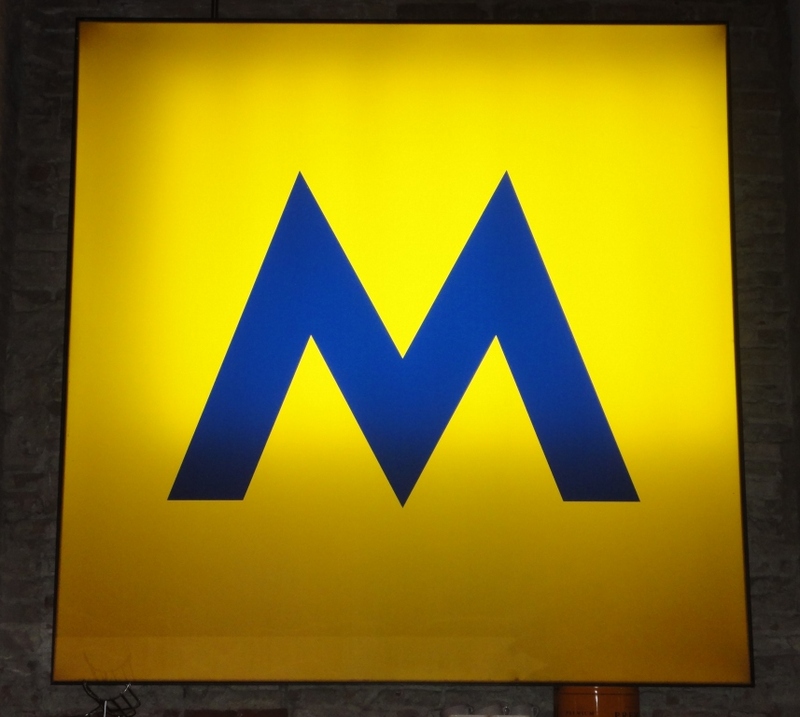 But I enjoyed the bottles of Moritz and the tapas on the extensive food menu. A six-pack of Moritz cans in the hotel room. Pints of Irish beer at The Temple Bar. Cans of Estrella Damm across the street from Sagrada Familia and on Montserrat. Draft Voll Damm with a lunch of tapas. 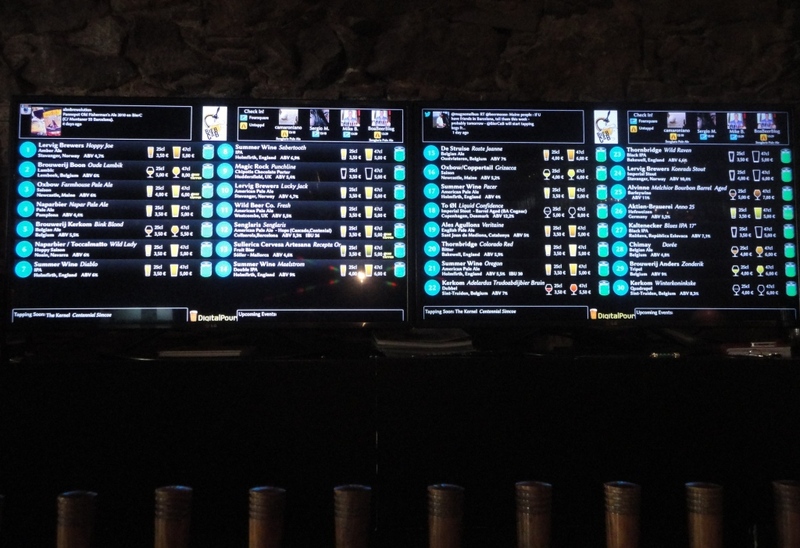 My Barcelona totals: 24 different brews at five beers bars, one brewpub and one brewery.